When we found out Jean and Kyle were getting married we were ecstatic. When they asked us to photograph their special day we were WICKED ECSTATIC! You see, I've known Jean since we were crazy young girls running around at the horse farm and it's been amazing getting to see all the life changes over the years. We couldn't have been happier to be a part of their big day and get to celebrate right along side them. Their big day started off like most weddings, full of anticipation and excitement as everyone bustled around finalizing details and getting ready. Jean and her sweet girls excitedly got ready and the smile on her mom's face as she zipped up Jean's dress was nothing short of pure joy! The whole room was full of the best energy as Jean looked out the window to see all their guests arriving and getting ready for the ceremony. At the same time, Kyle along with the rest of his goofy boys were laughing and joking as they got themselves ready. If anyone has a smile to light up a room it is Kyle, his fun-loving attitude is contagious and I'm pretty certain he spent the whole day smiling. Pre-ceremony wouldn't have been complete without not one but two first looks. One for Kyle to see Jean for the first time and then one with their fur-baby, Remi. The guests settled in for the ceremony and as Jean's dad came around the corner and wrapped her up in a big hug as they had some final moments before walking down to meet Kyle. A short and sweet ceremony commenced that ended in a great kiss and cheering from everyone there! My favorite part of the ceremony was right after they kissed and as I turned towards the crowd I caught a quick glimpse of Jean's sweet grandfather smiling at her with a little tear running down his cheek and all the love in the world in his eyes. The happy newly-weds burst in to the reception to loads of excited guests and made their way to the dance floor for a first dance. After a delicious dinner and some photo booth opportunities we snuck away with them to the middle of the golf course for some portraits. After a quick golf cart ride we found ourselves surrounded by the beautiful green, the setting sun and a little quietness. As Kyle twirled her around on the green they laughed and smiled in a care-free manner that suits them so well and it was easy to see that they are going to be set for a beautiful life together. Congratulations Jean + Kyle - we love you guys and can't wait to see what the future holds for you! Who doesn't love a mountaintop wedding in New Hampshire?! Meg + Ryan had a perfect summer wedding with a mountaintop ceremony, gondola ride, roaring dance party reception complete with an outdoor fire pit to end the night. The day started with the bride and groom getting ready surrounded by their best friends which included lots of laughter and reminiscing on past times. Meg + Ryan opted out of a first look but Meg wanted one with her Dad so we headed down to the edge of the river to meet him. With a heartfelt hug and tears in their eyes they had a beautiful first look surrounded by Meg's sweet family. A gondola ride to the top of the mountain is the perfect time to calm some pre-wedding nerves and take in all the spectacular views of the White Mountains. The ceremony took place at the very peak of Loon Mountain in Lincoln - the ceremony spot has a beautiful mountain back drop and even in the middle of summer it boasts a nice breeze to keep the guests cool and happy. As Meg was escorted down the aisle by her father you couldn't help by look over at Ryan and the huge smile on his face. The ceremony was sweet and funny as the officiant told some heartfelt stories about the couple and gave some good laughs. It was evident by the stories he told that not only are they the perfect couple but that EVERYONE adores them both. Post - ceremony we snuck away for some quick mountaintop portraits of the lovely couple and their families before heading back down the gondola to cocktail hour and the reception. Loon's reception area is unique by offering a large indoor space for tables, dancing and food but also a complimentary outdoor space complete with Adirondack chairs, fire pit and comfy seating for guests. They kicked off the reception with their first dance and some of the best speeches we have heard this year followed by the biggest dance party ever! This group was ready to have some fun and soon enough the whole party was out on the dance floor to party the night away! Everything about their day was perfect and we know for sure that they will have the best marriage and we can't wait to find out what the future has in store! Congratulations Meg + Ryan! Brittney + Jordan - soon to be a bigger family! When we heard the news that Brittney + Jordan were expecting, we were ecstatic! We have been lucky enough to know these two for years; through dating and going to concerts, to engagements and friends wedding days, to standing and celebrating along side them on their big day. We know without a doubt that these two will make amazing parents and that their sweet baby will grow up to be just as amazing as them. Congratulations guys, we can't wait to celebrate with your new family! We are catching up on all of our weddings and sessions from the year and next up is Robyn + John's wedding! 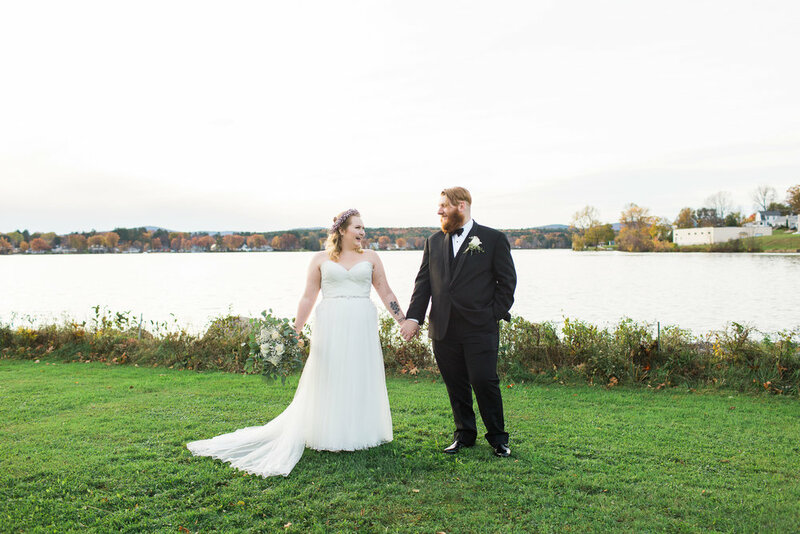 This Vermont country wedding was an absolute dream! Robyn went all out making this wedding showcase their style exactly while also bringing in all the best of Vermont. The setting for their day was the gorgeous Mansfield Barn that features rolling green hills, a huge red barn and the perfect outdoor ceremony spot. Robyn + John opted to do a first look at the covered bridge and let me just say...it was AMAZING! Talk about a tear jerker! Watching Robyn walk toward John on the bridge and seeing all the emotion and love on both of their faces was enough to make anyone cry. They shared a sweet moment on the bridge together before heading to the ceremony. The ceremony was heart felt with a hint of humor (which is so fitting for this fun-loving couple) and as soon as they kissed it was nothing but fun and a party for these two! Lawn games in front of the barn played in to the cool outdoor vibe of the wedding while the couple snuck away behind the barn for some family time and photos before kicking off the big party. Everyone knows how much we love a good adventure, so what could be better than a water fall adventure engagement session?! When Emily + John first contacted us about shooting their wedding and mentioned that they were trying to tie in their love of the mountains and the sea, we knew we would be quick friends. 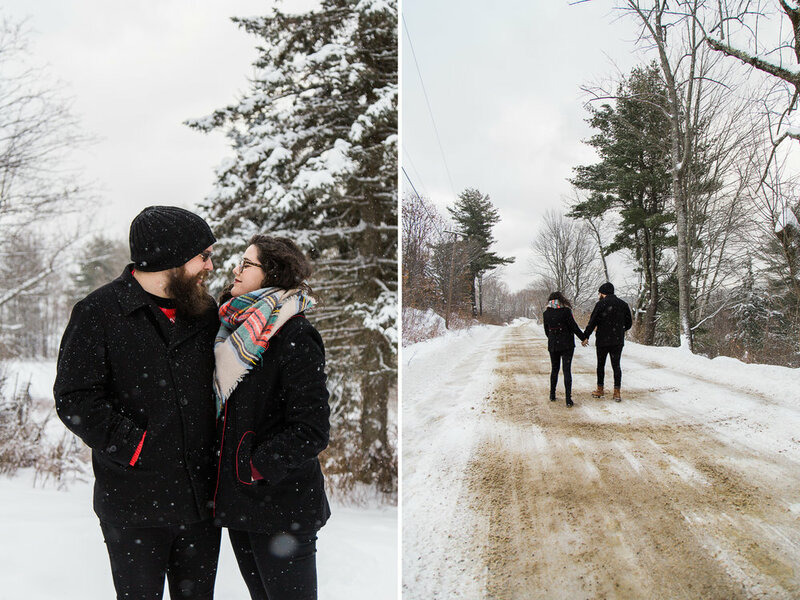 This laid back couple took the plunge and drove up to the mountains to meet us for a bit of an adventure. While we walked around exploring we got to hear tales of their Iceland adventures and other travels and some of their plans for future adventures! It was such a great experience and we can't wait to share these images with you all! Tips + Tricks: How to make the perfect wedding day timeline! We know how it is, you're looking at your makeshift schedule for your wedding day and you're wondering to yourself....how are we going to fit EVERYTHING in to this day?!?! We have been there. We can remember right up to the last minute feeling like we hadn't planned out our wedding day timeline enough and we weren't even sure we had set aside enough time for photos (how is this possible you ask?!?!?! Wedding stress is real stress friends haha). So we thought we would give you some pointers on planning out your day to help make it streamline as possible. If you are having your ceremony and reception at two separate locations make sure to take in account the drive time between the two as well as how this will play in to your time getting ready pre-ceremony and your photography time post-ceremony. We have found it is best to add in some buffers to prevent any added stress on travelling from one location to the next. It may sound weird, but most venues give you a set ceremony time. So if you can start with that in your mind you can work backwards to plan out when you should be at the salon for hair and make up, when you want to have your dress on, when you need the entire wedding party dressed etc. This is also the best time to think about whether you are going to have a first look (want more info on first looks?? Check out this whole blog post on the subject here.) If you are planning on a first look then you want to factor that in now to add an extra 45 min before your ceremony to be dressed and ready. - Plan time for your photos! I know, I know - you think I'm biased here BUT planning adequate time for photography is a must! This is especially important if you are planning to have a ceremony that is starting later in the afternoon or towards dusk. If you want beautiful images outdoors showcasing the scenery of your venue and all it has to offer than planning ahead will be key. Traditionally, photos are taken during the cocktail hour leaving about 45-60 minutes for photos. If you are wanting to have a receiving line post ceremony, than consider adding an extra 15 minutes to your cocktail hour so it doesn't cut in to your photo time. This is your big day - make sure you know where you want to be spending your time. If you both desperately want to be at your cocktail hour, consider planning on doing a first look and portraits pre-ceremony. This allows that time after the ceremony to be for your cocktail hour. Our last biggest tip of all is this - don't sweat the small stuff. No matter what happens your wedding day is going to be BEAUTIFUL and most importantly, at the end of the day you be married and stepping in the rest of your lives together. So if things don't go quite as planned, don't fret - let your day just be fun and full of love. When my sweet cousin got engaged to Kieran we were ecstatic, knowing that they had a bright future ahead and that they would accomplish so much together. We were even MORE excited when we were given the chance to photograph their beautiful wedding day. There is something that makes our job so much more special when we get to use our gifts for the people we know and love. Cindy + Kieran's day started off surrounded by their closest friends as they laughed and chatted together prepping for what was to come. You could tell immediately from the caring gestures of their friends how important this day was for them and to support their friends in the best way possible. A sweet church ceremony commenced where they were married in front of all their family and even better was they had their close friend and pastor as the one to officiate the ceremony! The reception kicked off to a start with their first dance which had many in the room in tears as they sweetly danced across the room softly singing to each other. The parent dances followed that were also tear-jerkers as you could see all the love they have for this sweet pair who is starting out their life together. They brought in their favorite food - Dos Amigos (because this is the best wedding menu ever, am I right?!?!) and the party got started! We are so excited for what the future holds for this couple because we know it is going to be AWESOME! Our favorite part of Christmas is getting to spend quality time with our family and friends. Over the past few years, the holidays have changed for us as my parents now live halfway across the country - so before what used to be seeing everyone every holiday has turned in to swapping holidays every year. In some ways this change has been really difficult, it is hard to not see all your favorite people on a major family day but it has also taken a lot of stress off and allowed us MORE time each holiday for the ones we are with. This Christmas, we spent the day with Austin's family - laughing and joking around and obviously eating tons of delicious foods (Austin's mom is a stellar cook)! We started a new tradition this year too - Christmas mugging! Instead of a normal Yankee swap with random presents, everyone brings a fun/goofy mug to swap around. It was pretty hysterical to see some of the mugs that were brought (Austin's was a toilet shaped mug....I kid you not.). 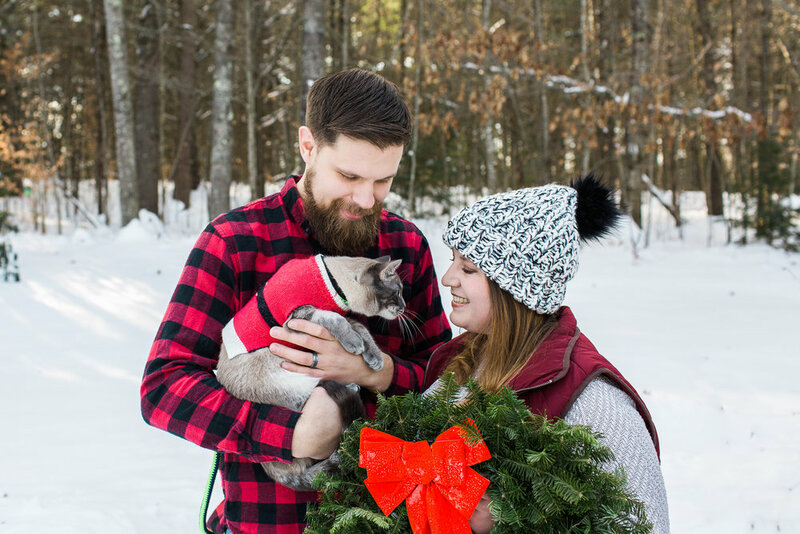 It was a relaxing and snowy day and we even snuck out during the storm to snap some fun photos. We hope you all enjoyed your holiday with family as much as we did! We get asked for advice all the time about planning and executing a great wedding and one thing we are asked about the most is our opinions on hair and makeup. So we decided what better way to get you guys the information you want than to ask an expert! We decided to call on Donna Cotnoir, owner and operator of Custom for You - where she offers full service hair and makeup for weddings as well as corporate bookings (she even did the makeup for James Taylor and his wife once!!). We asked Donna to give us some of her favorite tips for brides on everything hair/makeup related. Firstly, one of the most important things Donna wants brides to know is this - always do a trial for your hair AND makeup! This is so important to be sure that what you saw as your vision actually suits you and you're happy with! "When choosing a hair style and makeup for your wedding, take in to consideration the theme of the wedding, the style of your dress AND your personality. The makeup has to look like you, bring out your features and give you a glow. Not over done. You have to feel comfortable with the way you look!" When asked about choosing a hair and make up artist Donna said "You might want to look on Pinterest for ideas and a must is to do a consultation or two. The hair and makeup artist and bride have to mesh together and NEVER feel afraid to ask questions". Just like anything else with your wedding, you will get the absolute most out of your day if you have a great working relationship with your chosen vendors so take the time to get to know your artist and make sure you will work together! 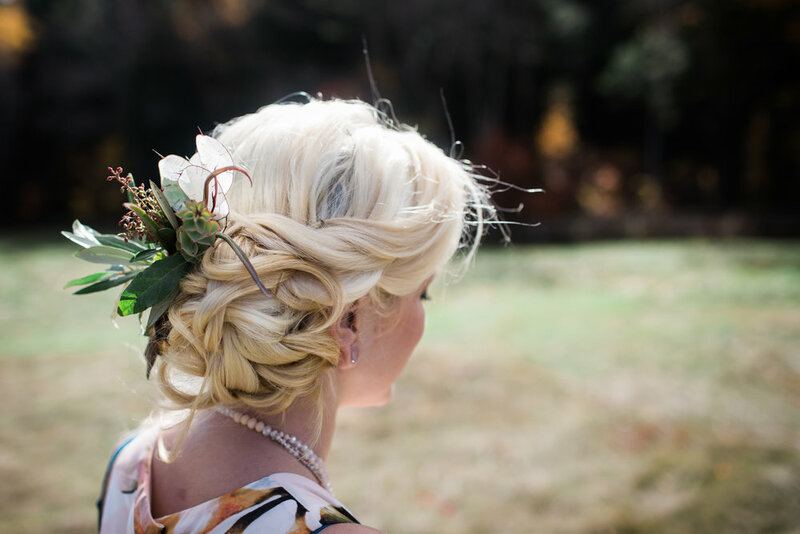 We hope this helps answer some of your big questions about bridal hair and makeup! If you would like to contact Donna for a consultation you can find all of her information below! We are devastated by the news of thousands of lives being affected by the onslaught of hurricanes. Just when it seemed as Harvey was enough, we have Irma and Jose to worry about. We have seen the stories and images coming out of the Caribbean as Irma destroys everything in it's path and heads straight toward Florida with Jose close behind. For those affected, the next few months will be a time of rebuilding and getting back on their feet and we want to help. We are releasing a few of our favorite water related prints for sale - with 100% of the profits going directly to hurricane relief. While it may be a small contribution on the grand scale, we know that every little bit helps. Please join us in helping these communities rebuild. To browse and order your print, click here! Capturing your life's big moments. Sign up here to see the latest updates and freebies coming your way! Thank you! Check you email for your free download guide on how to rock your engagement session!